The first trimester of this pregnancy has been unexpectedly rough. There was the all day nausea, which seemed to peak in the evenings, making a nonsense of the phrase ‘morning sickness’. Then there were the migraine-lite headaches that shadowed me from morning until night and the extreme fatigue, which meant that in the weeks immediately following our honeymoon I could barely manage to stay awake for five hours in a row. And then, last but not least, there was the big bleak cloud of despondency which settled above my head and refused to budge. It was difficult, under the circumstances, to feel thrilled about being pregnant, however much I’d looked forward to it, in theory. Cue the guilt about not feeling more pleased. After all, The Boy is a first time future dad, and I was anxious not to sully what should be a magical time. Twins run in my biological family, you see. Non identical twins. The sort that can be hereditary because the females of the family are genetically predisposed to ‘over-egg the omelette’ every month. This is probably why it took me only a couple of weeks to get pregnant, both with Tadpole and with baby n° 2, which is obviously a blessing. But after spending a few hours reading up on the subject on the internet, I was bemused to see that one source gave the odds on me having a multiple birth as 1 in 16. My mother, after having me, went on to have non identical twin boys. Now, of course I’m well aware that there are many couples out there that would love to have twins, or who already have twins, and who think that I’m a selfish human being for preferring my babies to come one at a time, in an orderly, spaced-out fashion. I also know that we could, if necessary, find space in Tadpole’s bedroom for two extra cots, and on the day of the birth I’d no doubt be thrilled to have two bundles of joy for the price of one. And why even have two breasts – sexual fantasies about multiple partners aside – if they can’t be suckled by two babies simultaneously? Phew indeed! I’m forever in awe of people who have twins. How do they cope?! I met a man the other day who had ‘3 twins’ as they say here in Italy. Phew indeed! My aunts are triplets and my never would always scould any parents bemoaning their babies and say “now times that by 3 and that was my world”!! I will never understand the many variations of symptoms during pregnancy. As you say, “morning sickness” indeed ! I’ve also never been able to grasp why anyone would go through it again – but I guess the brain has a way of blotting out the horrendous bits otherwise not many of us would be here…. Bravo to you for blogging when feeling so awful..
Congrats on your pregnancy and on the one baby! I’m guessing this was the first trimester ultrasound, so the pregnancy is right on its way, isn’t it? Aw blah, hugs. I hope you feel better soon. When are you due? I’m sure the Boy will understand and won’t feel like you’re trying to take away from his first time dad excitement. Hope the symptoms improve as time goes by. Pregnancy is a magical time, but it’s also a lot of work, so don’t feel guilty about not feeling 100%. Being sick/ nauseous all the time is exhausting, so cut yourself some slack! I’m sure the Boy is sympathetic and doesn’t expect you to be glowing all the time. i am fascinated with twins but i’m not sure i would like to have a pair… it must be thrilling and very overwhelming all at once. glad you’re happy with just one. hope you the worst of the nausea is over. is tadpole excited? Congratulations! So happy you are back and blogging. Will you have time once the new little one arrives? Tadpole will love this angel baby–a built-in playmate for life. Although, it doesn’t always work out that way. Yet, Tadpole seems a sweet and generous child and will no doubt dote on the baby. Loved the post on Bunny Suicides and forwarded the info to my bunny loving sister, who has been deep into U.S. income tax preparations for clients, while preparing for twin babies (fraternal boy and girl to be born tomorrow) and helping with the 4 existing grandchildren (two families). Always the stoic she is finally admitting to being overwhelmed–hence the bunny suicide connection. My sister-in-law always insisted that Reeses peanut butter cups help with nausea. Well, you know it gets better after the first trimester, so you have that to look forward to – the “golden days” of pregnancy. Our story was very similar until the point when the sonographer said “well, there are two of them in there”. Our brood are now nearly eight, four and four. It has been hard work, and there have been times when I don’t know how we’ve coped… but the results are worth it. What an odd coincidence, my wife is having our second, and has gotten quite large quite fast. We began to speculate about potential twins – not helped by the revelation that her grandmother, who’d died within days of the likely conception date, was a twin! Imagine our relief (and then consternation) when the dating scan revealed there was just the one (and it wasn’t as far along as we’d thought). She wanted to come into the scan with us, but sadly children weren’t allowed in the exam room. Instead, she sat with the receptionists and had a whale of a time spinning around on their office chairs. Well thank goodness! Twins are a blessing, but one is often enough ;) I could never imagine having two babies at once…! Think yourself lucky you’re not ‘Octomom’! PS. Did you know that you’re home page isn’t refreshing correctly. Still showing 25/03/09 as the last posting. I got to this post via RSS. Congrats on that! You had me going then! I find myself having to explain to people that my “morning sickness” is like sea sickness ALL. DAY. LONG. But then they always ask if I feel better at night and like you that is when I feel the worst. I’m counting the weeks now until I’m out of the clear of all this “all day sickness”. Hope you have some of the second trimester glow to make up for the hard slog so far. yeah ! pregnancy ..it’s not all its cracked up to be, however it’s not twins!!! Yep, ditto what Steve said. I also got this via RSS and can’t see your last two posts on your web page. I’m suffering with you with the old ‘morning sickness’ (although mine seems to peak around 3.30 in the afternoon). I spent weeks 6 & 7 just wanting to lie on the floor. This is my third pregnancy and the other 2 were nothing like this. Thanks for the ‘small comfort’ Mers – not sure I believe it but right now I’ll take whatever positive thoughts are out there. I wish you well for the duration Petite. “You are a good suspense writer” – you are indeed, the title was no giveaway. Your book has arrived from Amazon, I now just need to find the time to read it. I was thinking oh she went from 1 child to 3. You had me in suspense reading your entire post. enjoying reading the blog, hope all goes well along the way. Bet Tadpole cant wait for the arrival of her little brother or sister. I can totally feel and relate to your relief! I think I’d feel the same way. Funny story: A good friend of mine wrote her first book while pregnant with her first child. Then while writing the 2nd book, she found out she was pregnant again… with TWINS. We were all a bit concerned when she decided to write a third book. Luckily, the only thing “born” that time was the book itself. And her 4th book launches this week and no babies in sight. What was the answer to the question? Is there only the one in there? I’m rather hoping I’m out of the worst now as well (17 weeks this week), so glad the nausea, and the worst of the amzing tiredness is over. Really hope for you the nausea doesn’t continue. Haven’t told my son yet, want to take him to the 2nd scan (20wks) to help him understand. Oh, and I’ve had the same problem as Steve, comment No16, it’s not showing the April posts unless you go and find them in the archives. But on other things, I have just finished your book, It was really funny how I started reading your book, and ice cold but that doesn’t matter, but I enjoyed it much, so I decided to check on your blog. My best friend has twins. Just make sure the window cleaner doesn’t start washing your windows when you have finally managed to latch them both on at the same time! !He nearly fell off his ladder! have you noticed how every newscaster whos pregnant always starts up a blog on their stations website? a bit off topic but: is the top banner the view from your “new” flat or is that the original? Wow, for a minute there, I thought we’d start to hear stories of Pollywog1 and Pollywog2! I am a regular visitor of your blog for three years now or so (although I must aknowledge I missed some “episods” of Petite’s life).Being a great Tadpole fan (and of children in general) I always enjoy the Tadpole post a lot. The book “Petite Anglaise” has been my friend for more than a week now and before closing the last pages I wanted to thank you for having written it. In those particuliar “painful” days for me it helped to escape from reality a bit and I enjoyed your book very much. Best wishes for your life and pregnancy. Funny I was checking for posts yesterday, glad to see you’re back. Belated congrats on the pregnancy, was too late to be able to comment on the two previous posts. #38: It isn’t fixed for me, though the problem is different now. Whereas before I always got the “Malendendus” post, I now get a blank screen. I’ve tried in Firefox and its earlier version, Mozilla, Opera, and even — as a last resort! — Internet Explorer. Same result in each browser. Ok on IE8. Fubar on the Fox, Opera and Safari on iPhone. Hope you are now beginning to feel better. My first pregnancy was reasonably ok. I just suffered terribly in the evening with heartburn. The morning sickness was just that. When I became for the second time the morning sickness was very severe. It could be at any time in the day and lasted for a whole nine months. The doom and gloom was never far away either. I remember a couple of weeks after my daughter was born looking out of the window at the trees coming into bud and realising just how much I had missed. Oh darling, I too thought the second pregnancy would be a breeze, especially with a seven-year gap between children. But I found the experience was nothing like the first. Moaning and miserable I discovered chocolate made me feel better. Ten years down the track she is in her last year of school and he is in his last year of primary school. Lucky they’re worth it in the end. Best wishes for the rest of your pregnancy and really hoping your energy levels return soon. I vividly remember the overwhelming, all consuming tiredness of the first trimester and am in admiration of your ability to write such a tantalizing blog-post – you really had me hooked… and the result is? I can see that something else is to be expected for the autumn… Amazon tells me that your second book is to be published in late August, is that correct? Having raised two tadpoles and two newts (is that what you’d call French-born kids of English parentage?) in France, I read your experiences of pregnancy and child-raising in Paris and am filled with a mixture of nostalgia and relief no longer to be there. One of the things that impresses me most about your blog is that you KEEP ON WRITING. In your situation I was awash with hormones and homesickness, and brain-dead most of the time. Well bloody done. I got my 3rd child 6 months ago, a nice boy after 2 wondeful girls (although I would have loved to haver a third girl). I was so heavy from the very first trimester, people were keeping asking if I was expecting twins. In the end, I was desapointed when the doctor told me the was only 1. I was really hoping to go straight from 2 to 4. Enjoy it anyway. I goes so fast. I too am predisposed to have twins… and I don’t want to have kids to begin with, so I’m extra careful! I know it’s a bit early to ask, but were you planning on having a third child some time down the road? I am sure you are having a boy… only a boy could cause you so much agony and misery. Now before everyone starts moaning at me, most friends I know who had boys generally had a worst time during pregnancy. #38 and #41 (me): Today the site is working fine for me too. And, if I may ask, what was the doctor’s reply? you may not want to hear this, but lucky girl with odds of 16 to 1! (or maybe i’m just a little bit insane?) What is not to love about getting the hell of labour, the distress of stretchmarks and the onslaught of ‘pregnancy’ weight over with in one, bombastic go?? BTW, you are having one, right??? So I want to find out too. Is it ONE or TWO? Congratulations and I want to find out which direction your future books will take? Still memoirs I hope. I’m the one who lived in Belize for a year with our 3 sons and you told me how much you loved Belize. The photos remind me so much of Ambergris Caye, but apparently you didn’t visit that island. Checked with IE a few times and your recent posts didn’t come up, but is working perfectly well with Google Chrome. Twins are in my family too, and my sister hasn’t had any. Part of me hopes I get the twin deal, part of me doesn’t. Difficult to decide. I admire the special bond most twins have, and would like that for my children. Congrats on not-twins! I just spent the Easter holiday with my husband’s family, which includes a set of 6 month old twins. Those were the noisiest babies I have ever encountered and I realized that its probably normal since babies are smart enough to learn (very quickly) that whoever yells loudest gets dealt with first. I was extra grateful that neither of my pregnancies had been litters. On the other hand, both times around I was completely buried under a grey cloud, spending the entire pregnancy moody and sad. They say that 10% of women suffer from a sort of hormonally-inducded depression during pregnancy, rather than afterwards (baby blues). I had no idea it was that common as I felt like the only miserable pregnant woman on Earth. For the second pregnancy, I had the most fantastic midwife (she works with the Groupe Naissance out of the Clinique de Vinci) who recommended magnesium supplements, which are supposed to help with stress, among other things. I really noticed the difference when I started taking them. You could ask your doctor what he thinks about you taking something like this. I know what its like to feel like you are ‘missing out on’ your pregnancy because you are so busy being ill that you have no time to enjoy it and I was happy to find a homeopathic remedy rather than resort to something like anti-depressants. Hmm. If IE is not behaving, I suspect this is a browser cache issue. I’ve temporarily suspended my own wordpress cache as it seems to be misbehaving. Grr. And yes, this wasn’t actually meant to be a cliffhanger post. There was only the one in there!!! I just recently discovered your blog, after “accidentally” picking up your book a few weeks ago. 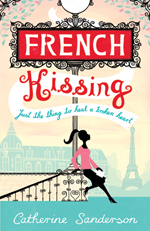 I was intrigued by the cover, as I myself LOVE Paris! I am happy to say that you did not disappoint, and imagine my delight when I realized the blog still exists! i wish you all the best, and hope you never stop blogging! Yes, I’ve been having trouble with your site loading “malentendus” even though that was not the latest entry. However, today that finally appears sorted, and “twins” now appears as the latest. I’m using ‘Opera’ as my browser. All the best with your new addition. #62: If readers find Internet Explorer is being a pain, the answer is to switch to Firefox — a far better, faster, safer browser all round. Just a thought. I bet you’re having another girl, Petite. Girl babies are known to cause worse “morning” sickness – usually lasting much of the day I remember! Oh so glad to see a new post! I was getting worried about you. (Imagine that, someone I have never met but know more about than my own sister. Its the charm of the internet) Glad all is well, even if you are feeling a little low at this point. Chin up, Keep Calm and Carry On, and all that. Yes, i felt that same sense of relief whenever we were told that there is only one baby in there. I’m in total awe of anyone who experiences mutiple births!!! But then as the saying goes “Must do is a wonderful master!” Hope you start feeling a bit better than what you have done. Take care. so people can make their own minds up. 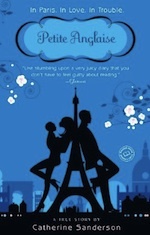 I’ve just finished reading your book “Petite Anglaise”, and just swung past to see if the blog was still up and running. Seems like there is a lot of things that has happened since the end of the book, is there a quick summary of the latest events anywhere?? I’m very excited to see that you are pregnant, congratulations!! Hi petite, I just finished the book and was please to find that the blog continues. Congratulations on the new pregnancy – as a teenager I had dreams of producing twins, but now as the mum of two singles have enjoyed the extra time afforded to each. Can’t wait for your continuing adventures, hope the evening sickness settles down and all goes well for the arrival of no 2. I loved this post – I have been reading the blog for a while now (ever since I finished your book ages ago)- I laughed out loud at Gwappa’s post (#57) because it took me back to when I had my first babies over 10 years ago – like Gwappa our ultrasound revealed twins – the nice lady doing the scan asked if we could see anything and I said I could see too blobs and “Is that a head and a bottom” and she replied “No it’s two heads” – no-one fainted but I shrilly screeched “What do you mean two heads?” She then replied there was two babies not just two heads and I burst into tears from the sheer relief of not being pregnant with a two-headed baby. I never suffer from any form of morning sickness (although sadly my sister seems to suffer for both of us and has a similar experience to you Petite) so it hadn’t crossed our mind that there might be “two heads” in there. Twins can be a lot of work (and our’s came 11 weeks early to complicate things even further) but it is lovely seeing them grow up together (mostly) – in any event it can’t be that bad because we went back for a third child ….we just waited 6.5 years to recover from our first muddled attempts at parenting and yes we did find it easier second time around and one was a breeze after two. The best of luck with the remainder of the pregnancy. I agree with #52. It’s a boy. My boy pregnancy was hell, my girl one a breeze. I’m happy I found your blog via blog expat. Great reading! I had horrible pregnancies too, and the possibility of twins was mooted both times. In the first one I quite liked the idea: Pregnancy was such a hideous experience, I reasoned I could get a whole family out of the way in one fell swoop and never have to do it again. I also thought that, although the first couple of years would be hellish, after that they would entertain each other and might make parenting a whole lot easier. But the second time… I wasn’t the least bit keen. I didn’t want three kids! So I was happy when it was just the one. I know how it feels when pregnancy makes you feel so horrible. Like you I couldn’t summon up any enthusiasm for the supposed bundle of joy that was on its way. But later on when all the symptoms eased, I could feel positive again. I hope that day comes for you very soon.